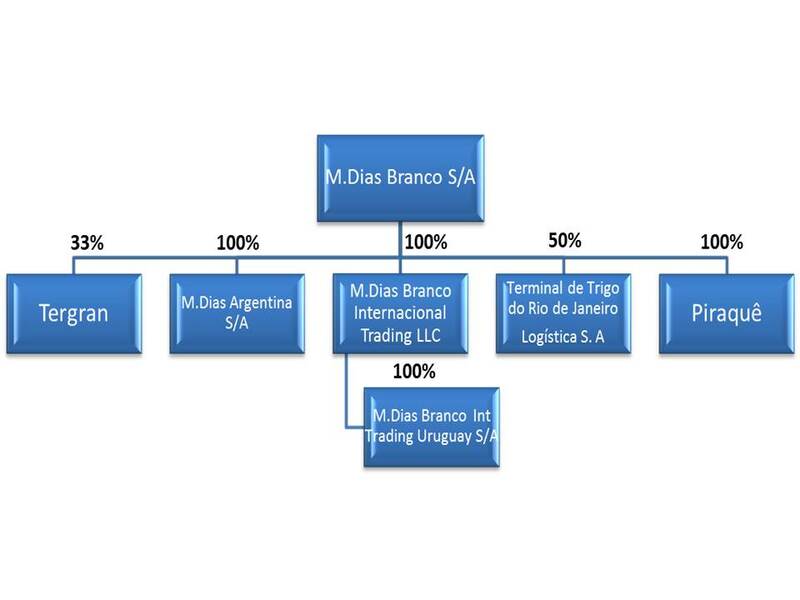 This company is the lessee in the contract entered in September 21, 2017 with the government, in the form of the Ministry of Transportation, Ports and Civil Aviation,which addresses the leasing of public infrastructure and land to handle and store solid vegetable bulk, especially wheat, located in the port of Rio de Janeiro/RJ. The Company is still preoperational. Indústria de Produtos Alimentícios Piraquê S.A. began its activities in 1953, has its main office in the City of Rio de Janeiro and its purpose is to produce and import, export and market food products, with its chief focus being cookies and pasta product lines.